Pure elegance at its best! 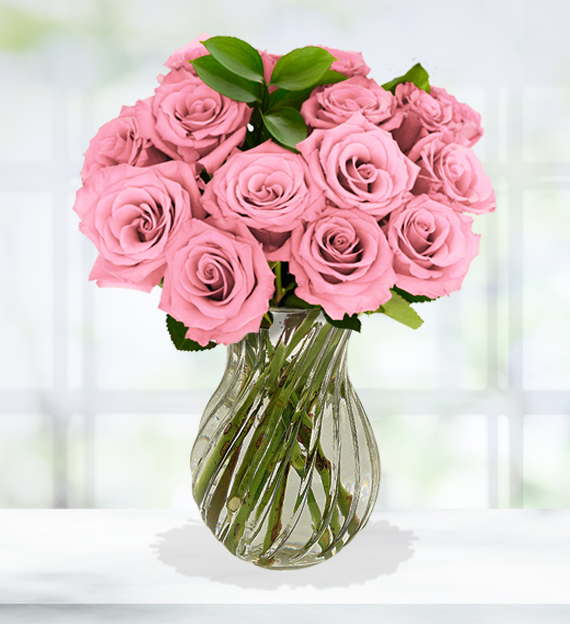 Choose your perfect amount of pink roses expertly arranged in a glass vase amongst lush greens. This classic arrangement is the perfect way to send your message for that very special occasion, whether it's a birthday, anniversary or new baby girl celebration. 10/16/2017 5:42PM Easy And Quick! Love It...— Tony Cornish Jr.
10/16/2017 5:22PM Easy And Quick! Love It...— Tony Cornish Jr.